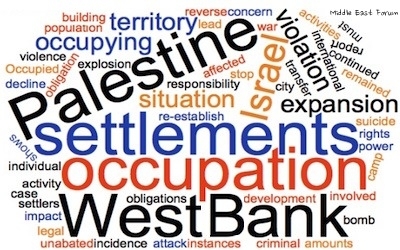 The UN's slanted lexicon taints the world's perception of the Israeli-Palestinian conflict. US President-elect Donald Trump won the White House promising to reform our dysfunctional government. But will he also stand up to the even more dysfunctional United Nations? As the Trump campaign emphasized in a position paper released November 2, the UN has long displayed "enormous anti-Israel bias." For decades, UN agencies have slandered the Jewish state, most recently with the April 2016 accusation that it has been "planting Jewish fake graves" in Palestinian territory, with UNESCO declaring last year that the ancient Jewish Biblical sites Rachel's Tomb and the Cave of the Patriarchs are actually Muslim holy sites, and with its declaration last month that the Temple Mount, where the First and Second Jewish Temples were destroyed in 587 BCE and 70 CE, is an Islamic site with no connection to Judaism. On the day America elected a new president, the UN adopted ten new resolutions against Israel. 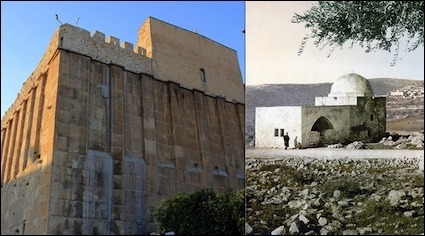 UNESCO now calls the Tomb of the Patriarchs in Hebron (left) the "Ibrahimi Mosque," and Rachel's Tomb in Bethlehem (right) the "Bilal ibn Rabah Mosque." The UN's greatest achievements against the Jewish state have been rhetorical. By controlling the language of the Palestinian-Israel conflict, the UN has skewed the narrative falsely against Israel. This fabricated language is, in turn, absorbed and perpetuated by the media (both old and new), academics, politicians, and pop culture figures such as Roger Waters, further tainting the world's perception of the conflict. UN documents regularly use the term "occupied Palestine" and refer to "occupied Palestinian territory" (especially the "West Bank") being stolen by Jewish "settlement activity." All four UN terms -- "Palestine," "occupation," "West Bank," and "settlement" -- are misleading. While UN documents regularly refer to "Palestine" and "the State of Palestine," there is, in fact, no state of Palestine. As David Bukay shows "there has never been a land known as Palestine governed by Palestinians at any time in history." Until recently there have never been a people nor a culture known as "Palestinian" distinct from "Arab." Palestinian leaders have repeatedly spurned offers of statehood. The Arabs who lived in UN Mandated Palestine turned down statehood in 1947 by rejecting UN Resolution 181. In 1974 the UN recognized the PLO, a terrorist organization, as the official representative of the Palestinian people, paving the way for its emergence from the Oslo peace process under the guise of the Palestinian Authority (PA). In 2000, the PA turned down yet another offer of statehood because the offer did not recognize the "right of return" for millions of descendants of those displaced in 1948 to relocate to within Israel -- a population transfer that would eliminate the existence of a Jewish state by demographic means. In 2012, the UN General Assembly upgraded the PA/PLO government to "Non-member Observer State"; UN rules dictate that new member states can only be created by the Security Council. The term "West Bank" is also a misnomer. In fact, this territory was for millennia called Judea and Samaria. After the 1948 War of Independence, Transjordan (now known as the Kingdom of Jordan) annexed it, renamed it the "West Bank," and occupied it for nearly two decades. In the Six Day War, after Jordan attacked Israel, Israel entered the territory and administered it until the Oslo Accords era; then it turned over much of the area to the Palestinian Authority. The final borders of a Palestinian state were left contingent upon Palestinian progress in ending terrorism and bilateral negotiations over presumed land swaps. When it comes to Israel, the UN is obsessed with the word "occupation." A recent Wall Street Journal article documents 530 General Assembly references to Israel as an "occupying power" versus zero for Indonesia (East Timor), Turkey (Cyprus), Russia (Georgia, Crimea), Morocco (Western Sahara), Vietnam (Cambodia), Armenia (Azerbaijan), Pakistan (Kashmir), or China (Tibet). The UN General Assembly doesn't label Russia, China, or Turkey "occupying" powers, only Israel. UNESCO's "Occupied Palestine" document uses the phrase "Israel, the occupying Power" thirteen times. Most Palestinians in Judea and Samaria live under the governance of the Palestinian Authority. Referring to this territory as the "occupied West Bank," is an unnecessary concession to the UN narrative. Saying that Jews are "occupying" Judea is as nonsensical as saying Arabs are "occupying" Arabia or Gauls are "occupying" France. Nevertheless many media sources (Washington Post, New York Times) use this term reflexively. New-media sources often take it a step farther. Any Google search combining the words "occupation" and "Israel" leads to a "People Also Ask" drop-down offering the following: "At the heart of the Israel/Palestine conflict today lies the question of the Palestinian territories occupied by Israel since the war of 1967, which include the West Bank, Gaza Strip and East Jerusalem." Somehow Google missed the fact there have not been Israelis in Gaza since 2005. 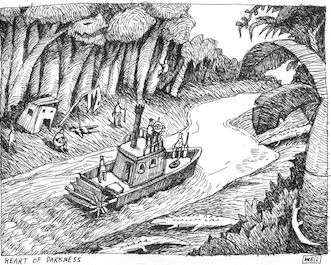 The term "settlement" evokes imagery of white European settlers encroaching on the ancestral territories of red, brown and black peoples, connoting the moral baggage of colonialism. The UN uses the term to insinuate Israeli theft of "Palestine." In truth, many of the "West Bank settlers" bemoaned by the UN are not pioneers from other lands but infants, new members of growing families in long-established Jewish neighborhoods.